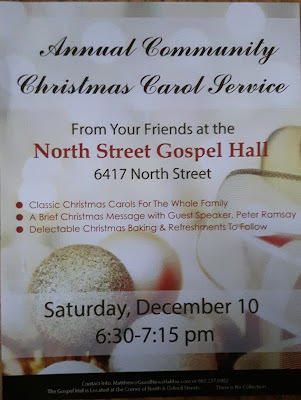 While it is fresh in my memory, I'd like to give you a little report on the Annual Christmas Carol Service at the North Street Gospel Hall in Halifax, Nova Scotia. It was held on Saturday evening, December 10, 2016. Matthew Cain said 2500 invitations were distributed around the neighbourhood and many contacts were invited to the 45 minute long service. It was followed by a lunch in the basement - yes, scrumptious Christmas Baking, coffee and apple cider. It was also announced on Facebook and Twitter. A local Member of Parliament retweeted the notice to all his followers. 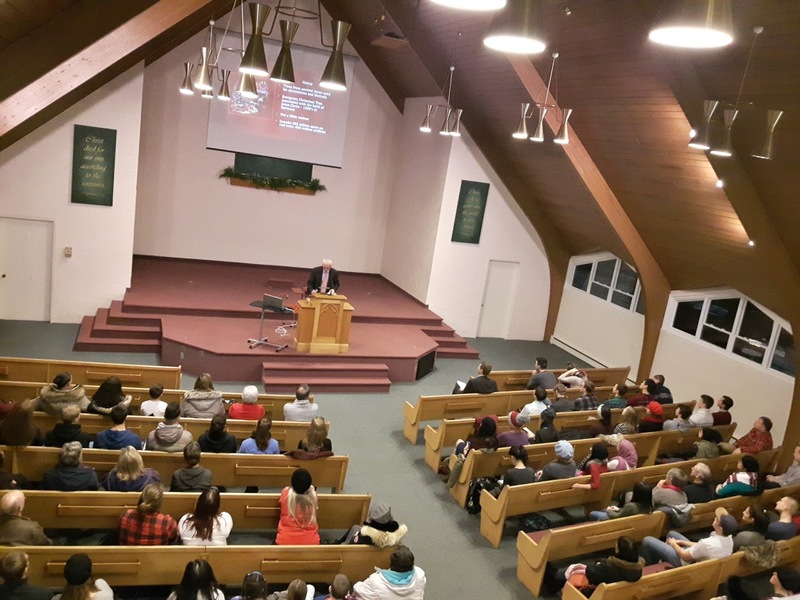 150 people showed up, filling the main level with some choosing to sit in the balcony. The singing was acapella. Several visitors commented on the quality of the lyrics projected on the screen and how much they enjoyed the singing. Singing positions alternated between sitting and standing. A brief message (approximately 10 minutes) pertaining to Christmas and the Gospel was given - aided by 9 PowerPoint slides. 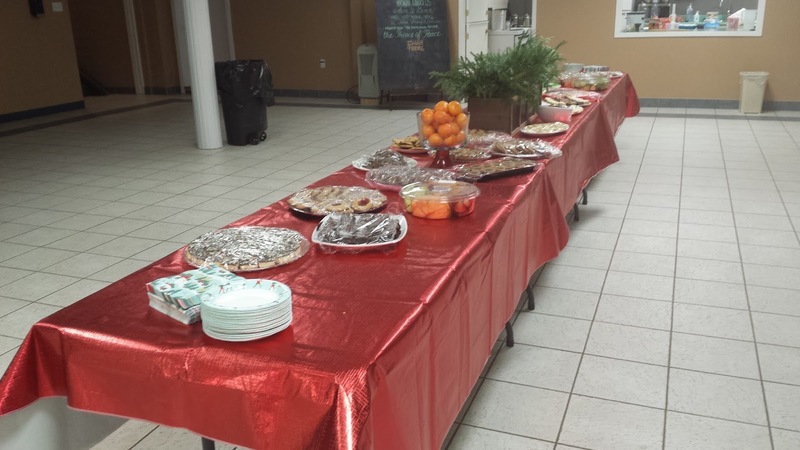 After a closing prayer and a concluding carol, most of the guests stayed for the lunch and seemed in no hurry to leave. Their feedback was very positive. What a great experience it was to see so many guests in for the first time and to have them leaving with positive impressions.